Asin Thottumkal debuted opposite Mr. Perfectionist, Aamir Khan, in Ghajini. She is known for her simple yet powerful performances. She sure got a taste of success at a very young age but never let this to her head. She is a perfect example of how simple can be sensuous too. Asin has been blessed with naturally good looking features, which she often uses as an armor when stepping out without any makeup. Here we give you the top 10 pictures of Asin without makeup. Our dusky beauty Asin gives comfort an upper hand when traveling. This picture was shot when she was flying out to Singapore for the premiere of her movie Housefull 2. Those comfortable cotton pants and contrasting pink shirt and with a dark blue warmer is all Asin needs to add to her poise and natural beauty. Caught during one of her casual outings, Asin readily posed for the paparazzi in this red checkered lose shirt. Asin lets her hair down in this extremely casual avatar with no trace of makeup. We say thumbs up to our dusky beauty for pulling off this look so well. Asin is blessed with a beautiful radiant skin. She perfectly fits the tag of ‘girl next door’ in this picture. Brown jacket, open hair with pink hair band and a smile to die for, these are the only things Asin needs to melt our heart. Asin shows her caring side in this picture where she is consoling a baby. Sporting a casual black and white top and glares, she pulls off this no makeup look effortlessly. Asin sure likes being simple but that doesn’t stop her from being stylish. 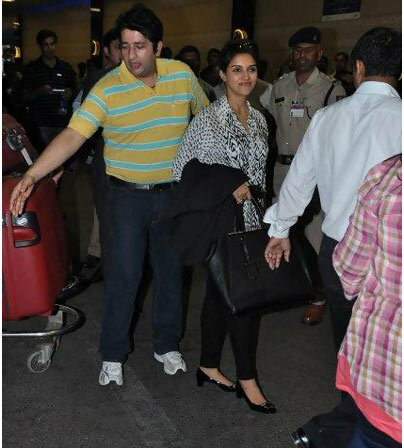 Caught by the shutterbugs at the airport, we don’t see Asin shying away. And why should she, not with that perfect black and white formal attire, complemented by perfect shoes and bag. What we love even more is her confident smile! Asin sprinted through the airport on another occasion when she was caught wearing this very chic semi-formal shirt and black pants. We specially noticed the black nail paint. That casual high bun and glares simply define Asin’s chic quotient for us. Asin has always been kind to her fans. We praise the way she smiles to capture our attention and the friendly manner in which she agrees to pose for our lens with a fan. Snapped during the shoot of London Dreams, Asin dares to go in front of the camera without any makeup. She is seen sharing the frame with co-star Salman Khan. The London winter seems to be keeping her cold, but her warm and smart clothes sure complement her natural beauty effortlessly. Asin caught our attention in a light brown top with a heart-warming smile and her radiant skin to go with it. We love the way she lovingly looks at the lens. Keeping it minimal always works best for Asin. Doesn’t it? 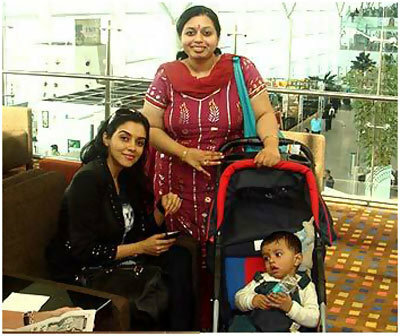 This one of all the asin photos without makeup is definitely our personal favourite! Most actresses get cold feet when it comes to stepping out without makeup. Asin sure doesn’t feature on that list. She dares to let the world see her natural beauty, without thinking once about not wearing any makeup in this picture snapped at one of the hilly areas.